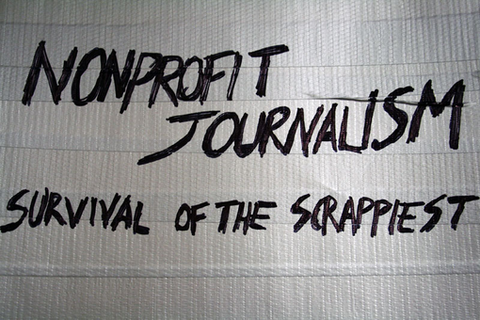 Learn how longtime and new nonprofit journalism organizations have managed to win grants for longform, investigative journalism while developing a community of engaged supporters. The panel, including representatives from the Observer and other nonprofit journalism outlets, will explore how to produce high-quality, high-impact work on the cheap and get noticed. Sponsored by the Knight Foundation. From 2008-2012, Cherilyn was Director of Development and Strategic Initiatives for the Center for Investigative Reporting, which grew during that time from a staff of six people to 70. She was directly involved in securing dozens of major grants and gifts, totaling over $20 million. She was instrumental in the organization being awarded the 2012 MacArthur Award for Creative and Effective Institutions, the foundation’s “genius award” for organizations. Before joining CIR, as president of Strategic Communications, Inc., Cherilyn raised dgifts and grants for a variety of nonprofit clients, including the USC Annenberg School, the Maynard Institute, and the Center for Media, Crime and Justice at John Jay College, CUNY. While she has specialized in nonprofit journalism, she also helped raise funds for health and social justice organizations and various academic institutions. In the mid-90s she was Director of Foundation Relations at USC. She also taught Business Communications in the School of Business Administration. Cherilyn has re-launched her consulting business, Strategic Communications, Inc., on a limited basis. But her main project now is creating the Bay Area Book Festival, a major literary festival to debut in 2014. This annual event will be the first book festival in the country to embrace the digital revolution in publishing, as befits the San Francisco Bay Area. It also will be a traditional literary feast: Public and free, the event will present over 200 top authors on panels and stages. Cherilyn also is finishing a novel partly set in Tibet. This past December and January, she went on a self-directed writing retreat in the Himalayas, where she had traveled extensively. She has published travel articles and book reviews. Jonathan McNamara joined the Observer in 2011. Previously, he worked for Phoenix New Times as the publication’s first web editor. Jonathan holds a Bachelor’s degree from the University of Texas at Austin where he majored in Multimedia Journalism. As a student, he spent most of his time reporting and editing feature stories, building multimedia packages and writing for the entertainment section of The Daily Texan. His work has also appeared in Spin Magazine, The Japan Times, Kansai Scene Magazine, Impose Magazine, and Houston Press. Meghann manages distribution and online community building for the Center for Investigative Reporting, California Watch and The Bay Citizen. She works with editors, reporters and multimedia producers to create comprehensive distribution strategies in print, radio, television and online media outlets, as well as blogs, online communities and social media. In addition, she works to develop and maintain media partnerships and collaboration. Previously, she was the associate editor of Forums at PBS' NewsHour where she covered the 2008 presidential election and inauguration, and she created interactive online forums that helped grow and engage the NewsHour's online audience. Meghann was also the senior digital media manager at Home Front Communications in Washington, D.C., where she worked in digital media management, interactive development and outreach for nonprofit and government clients. Tanya Erlach is the director of The Texas Tribune Festival. She also recently teamed up with actor Ed Helms on The Bluegrass Situation, a new online magazine and events company based in Los Angeles. Previously, she spent eight years as the senior talent manager at The New Yorker, where she programmed and produced a variety of public events, including the annual New Yorker Festival. She has held editorial positions at Nylon, Interview and Spin magazines.